The program provides a way for interns, emerging professionals and design professionals to learn about roofing fundamentals. It is designed for those new to the roofing industry or anyone who needs to understand roof assemblies and how the industry operates. This program will establish the roles of the team members in the commercial roof construction process. We shall discuss roof analysis as it relates to the design process. This shall lead to proper detailing of construction documents which assists in good bidding. We shall also speak to the issues of quality control during the construction phase. 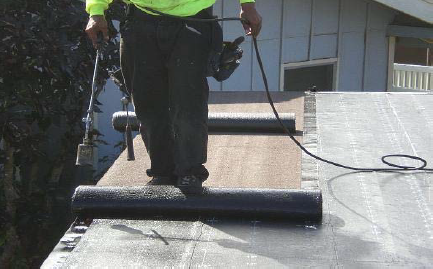 Roof management shall be presented as a means and method of organized roof maintenance. It is a program of collaboration between building owners, architects, and roof professionals to properly manage the assets of the roof system to cost effectively add more life to the existing roof. The method of instruction is multi-sensory with both classroom instruction and hands-on training and demonstration. The Roofing Systems Seminar assists owners, design professionals and roof contractors to coordinate all of the increasing complexities in the roof industry to arrive at a satisfactory point of long-term performance of their roof systems. New employees, customers, facility managers, building owners, and design professionals will benefit from this program which reviews design, installation and maintenance for low-slope (typically commercial) roof systems. The seminar will be presented on August 21, 2012. 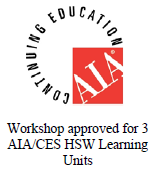 This seminar is free of charge to AIA members and all IDP Candidates. A charge of $25 will apply to all others. This looks like a great event for new apprentices to learn about the roofing business, great to see!